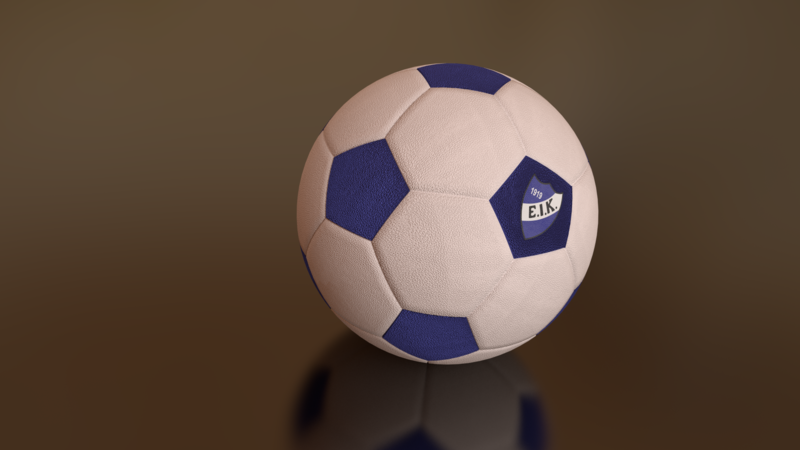 Here’s a recent project, A Soccer ball I made in Blender. I found a good tutorial (link) on how to produce the ball but I wasn’t pleased with just the ball so I thought I would try to fit a club logo onto it also. That was a bit of a challenge because I haven’t used Blender 3D in over a year now and I tend to forget the inner workings of the program. Well I solved it somehow and I even got a nice bump map added to the ball and logo. It’s good for now I could probably do better but mission accomplished so far, and I’ll think I will have use of the ball for an upcoming project. This entry was posted in Digital Art, News and tagged Blender. Bookmark the permalink.